Oregon Health Authority Sealant Program Providing the Gift of Prevention for Hood River Kids. Mid-Valley Second Grader Nico Ochoa is about to receive free sealants, applied by One Community Health’s Dental Assistant Cynthia Valdovinos (left) and Dental Hygienist Sylvianna Marquez (right). Hood River, Ore., Dec. 20, 2018—Mid-Valley Second Grader Nico Ochoa sits grinning in the dental chair, thinking hard when asked what he wants for Christmas by staff at One Community Health (OCH). He’s just had brand-new sealants applied to his back teeth. But as he’s clearly missing his two front teeth, laughter erupts when it’s suggested he might want to ask Santa for those. With Christmas just days away, it’s unlikely he’ll get that particular wish. But this holiday season, what he will have received is the gift of preventive dental care, thanks to a free sealant program and the commitment of those who implement it. Currently being offered to elementary and middle-school students in the Hood River County School District, the sealant program is made possible by a partnership between the district and One Community Health, with funding from the Oregon Children’s Dental Health Initiative and the Columbia Gorge Coordinated Care Organization. Together, they battle tooth decay, the most common chronic disease of school-age children today. More than half (52%) of Oregon children ages 6-9 have had a cavity. When the dental team from OCH coordinates with and visits the local schools, they set up a temporary, mini-exam room, then provide up to 16 screenings a day, oral hygiene education, oral health risk assessments, free dental supply kits and, of course, preventive sealants on the children’s teeth. On this day, Dental Hygienist Sylvianna Marquez and Expanded Function Dental Assistant Cynthia Valdovinos apply sealants to Nico and other elementary students. Both Marquez and Valdovinos grew up attending Hood River schools and feel a great sense of personal connection and purpose, improving oral health through this proven, preventive program. According to Marquez, the program lead, much work goes into this months-long effort so it rolls out smoothly. For example, to drum up parental buy-in and permission, she attended school open houses, parent conference nights and a migrant parent night earlier this fall. But every child in need is well worth the effort, says Marquez, noting that since the sealant program kicked off in 2016, she’s noticed a decline in serious dental conditions. The program’s success doesn’t just equate to greater oral health. It directly supports the academic and lifelong success of these children as well. When the kids aren’t focusing on dental pain, they focus better on the teacher. Also, when their oral health isn’t compromised, they’re happier about how they look, which boosts self-esteem. The total impact is very positive. Just ask Kim Yasui, principal at Mid-Valley Elementary. She estimates that in any given year, she has up to 15 students experiencing tooth significant decay and other serious symptoms of oral health disease. “When they’re sitting there in class, pushing on their teeth because they’re in pain or moving their jaws all the time, you know they’re hurting and not able to pay attention in class,” she says. Sometimes the teachers will offer to drive the students to the dentist—but this is obviously outside the scope of their job duties, she notes. The OCH dental team moves the program from one school to the next throughout the Hood River Valley School District. After each school visit, children and their parents have the peace of mind that the students’ oral health has been safeguarded, at least more so than before sealants were applied. At every school, some children are flagged for advanced dental services, so OCH notifies the parents about recommended treatment and works with school nurses to be sure kids get to their dentist. The potential to help these children often continues beyond the school walls, often for many years to come. For OCH team members like Marquez and Valdovinos, taking part in this onsite program feels very rewarding. For many kids, like little Nico, it’s not just smiles that are shining bright. Thanks to free sealants and a program that boosts access to free preventive oral health services, these children have greater odds of reaching their full potential. Maybe a healthier, better life isn’t top of mind when it comes to their Christmas wish list, but it’s a gift certainly well worth the giving. 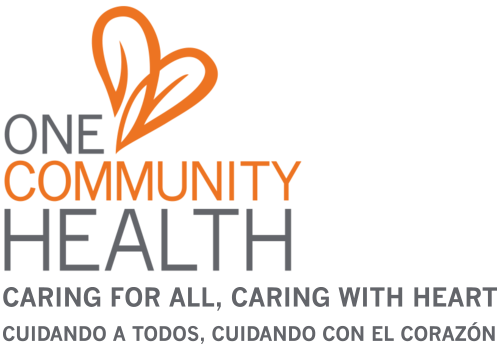 One Community Health (OCH) is a nonprofit, Federally Qualified Health Center with locations in The Dalles and Hood River, Ore. Formerly known as La Clínica del Cariño Family Health Care Center, Inc., it was founded in 1986 and, today, has evolved into an official Patient-Centered Primary Care Home. OCH currently provides services to more than 12,000 patients. In addition, OCH excels in providing educational programs and support that reflect its integrated approach to health and wellbeing. Dedicated to advancing health and social justice for all its community members, OCH serves patients from the Mid-Columbia River Gorge Region: Wasco, Hood River, Klickitat and Skamania Counties. To donate or for more information, visit the OCH website: https://www.onecommunityhealth.org/.